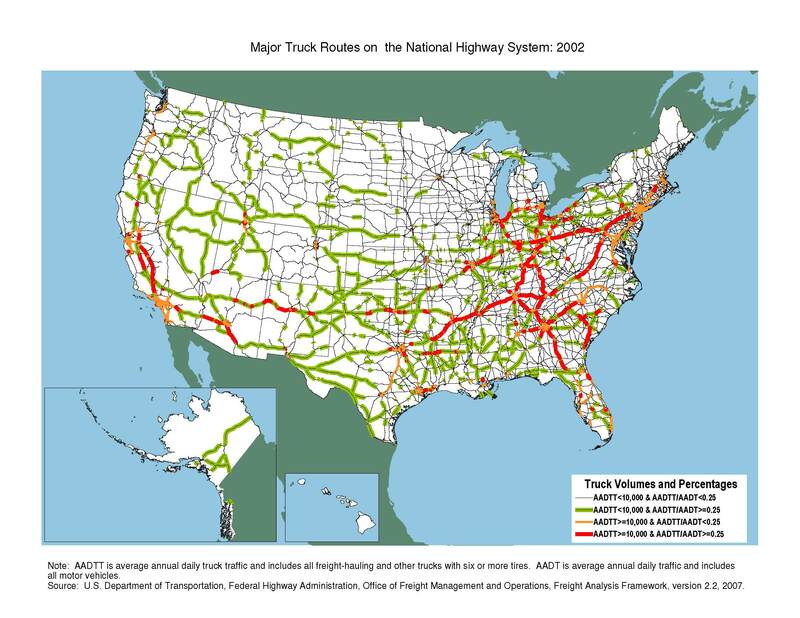 Selected routes carry a significant concentration of trucks, either as an absolute number or as a percentage of the traffic stream. More than 4,000 miles of the National Highway System (NHS) carry more than 10,000 trucks per day on sections where at least every fourth vehicle is a truck. 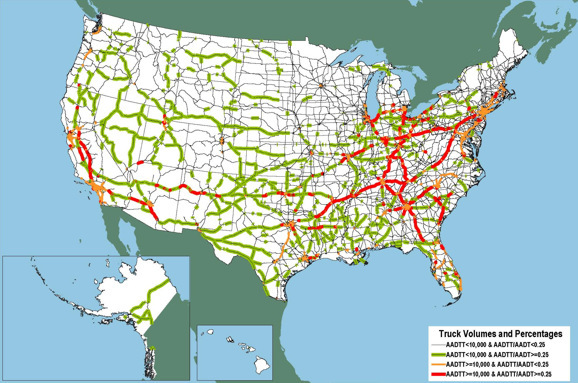 U.S.Department of Transportation, Federal Highway Administration, Office of Freight Management and Operations, Freight Analysis Framework, version 2.2, 2007.